Bliss beds elevate your body and cradle tense muscles, allowing them to relax. It's like getting a gentle massage while you sleep. The main cause of physical tension is mental stress. Latex provides a supportive cushion for your weary muscles, all the way up to that big muscle, the brain. This Talalay bed is perfect for those who want a firm mattress, but it can also be customized by purchasing a 2" or 3" removable Talalay topper. Speak with one of our Talalay specialist? We are here to help. With a firm, supportive feel, this all-latex design is a great bed for those who like to sleep on a firmer sleeper surface or an ideal base for customizing your own design with one of our Removable Pillowtops. This mattress design delivers a harmonious balance with a firm base layer topped by a luxurious Talalay layer that reduces pressure and relaxes muscles. With a firmer Talalay base layer, the Nutrition offers a more European feel that provides a balance of support and pressure relief to help relax muscles. The ultra-plush surface and unique layers of Talalay in our signature design deliver unparalleled support and pressure relief, making you feel like you are floating in a swimming pool. Carbon is infused into the top layer to act as a purifier and keep the mattress fresh—the same way it is used in water and air filters. Completed with a unique, custom design cover. It is available in Plush and Firm models. 10 Year Limited Warranty with a 1" Indentation Limit. Talalay exclusive Tala-Flex open-cell structure creates highly breathable material for ultimate comfort. Talalay material is certified as Oeko-Tex Class 1 — the highest level awarded for textile safety and purity. It is Baby-safe. Talalay material is hypoallergenic and inherently antibacterial, mold and mildew resistant, dust mite resistant. 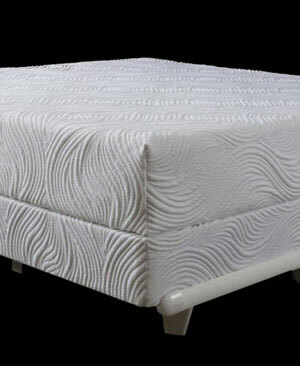 Premier American-made coil support system selected as perfect compliment to Talalay material. Designed to work well with adjustable frame systems. 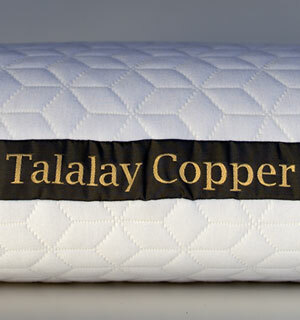 A perfect combination, our genuine, world’s finest Talalay material infused with real copper. Add another layer of luxury to your bed with a Pure Talalay Bliss Custom Fit 2" removable Plush topper. Choose a 2 inch firm or plush topper to customize your sleep experience. As your needs change over the years, a Talalay topper is an easy and economical solution to revitalize your bed. If you don’t have a Pure Talalay Bliss mattress yet, you can still experience the luxurious feel and uplifting qualities of Talalay before investing in a mattress. Toppers are great for guest rooms, children’s rooms, vacation homes, and even yachts. Add another layer of luxury to your bed with a Pure Talalay Bliss Custom Fit 3" removable Plush topper. Choose a 3 inch firm or plush topper to customize your sleep experience. As your needs change over the years, a Talalay topper is an easy and economical solution to revitalize your bed. If you don’t have a Pure Talalay Bliss mattress yet, you can still experience the luxurious feel and uplifting qualities of Talalay before investing in a mattress. Toppers are great for guest rooms, children’s rooms, vacation homes, and even yachts. On average you spend one third of the year in bed. You spend more time on your mattress than any other furniture in your house, but do you invest in a mattress that gives you the luxurious sleep experience you deserve? If you aren't sleeping on a Pure Talalay Bliss mattress, the answer is no. When you lie down at the end of a long day, our Talalay Latex mattresses form to your body to give you support where you need it. 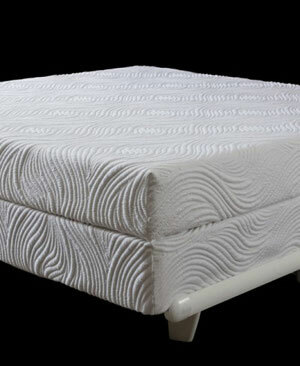 Each mattress is custom made by hand and delivered to your door within a week. You might not be able to get a massage every day, but when you sleep on a Pure Talalay Bliss mattress you will feel like you have been pampered every night. Oeko-Tex Association is an independent, third-party certifier. Oeko-Tex certification is widely recognized in most of Europe. It's awareness in the United States is rising. Talalay Global's manufacturing automation optimizes energy usage for the molding stage (freezing and vulcanization portion) of the Talalay process. The state of the art factory in Shelton, CT, USA also features energy efficient lighting. 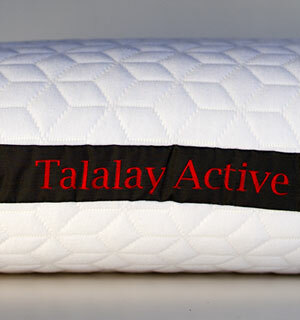 Talalay is produced by Talalay Global and is manufactured in CT. The manufacturing process does not use solvents and does not damage the ozone layer. Talalay Global's Talalay is certified by Oeko-Tex (Europe's highest environmental consumer product standard) to be free of harmful substances or chemicals. Energy: Talalay Global's manufacturing automation optimizes energy usage for the molding stage (freezing and vulcanization portion) of the Talalay process. The state of the art factory in Shelton, CT, USA also features energy efficient lighting. Pure Talalay Bliss mattresses and pillows breathe up to 7 times better than other latex or foam products, allowing for a cooler sleep. Many mattresses and pillows are made of materials that don't allow your body heat to dissipate, which can interrupt sleep. Talalay has a breathable design and cell structure that provides a temperature neutral environment. 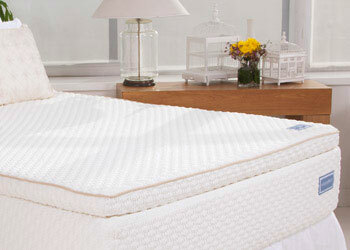 Pure Talalay Bliss uses Milliken's Paladin product as an FR Barrier. The FR cover (the cover under the finished cover) is simply a woven polyester material that creates a fire retardant shell, that when burned, meet the US fire retardant requirements. 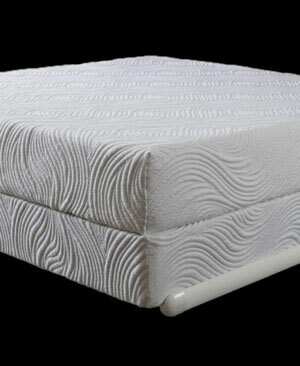 Important Foundation Information; Pure Talalay Bliss mattresses are substantial in weight, and are designed to work on a solid, firm surface, not spring foundations or bases that are structurally not capable of supporting the weight of purchaser's pure Talalay Bliss mattress. 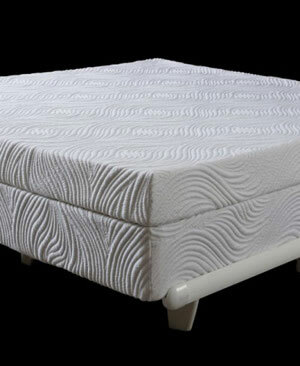 Pure Talalay Bliss may require purchaser to provide proof of the quality of the foundation, adjustable bed base, or bed frame used in conjunction with the mattress if purchaser makes a claim under this Limited Warranty. Therefore, if purchaser uses inappropriate foundations, box springs, adjustable bed bases, or inferior bed frames with the mattress, such use will void this limited warranty without limitation. **An appropriate bed frame must completely support the foundation as well. 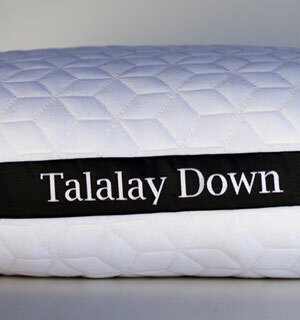 All of our Talalay is manufactured by Talalay Global in Shelton, CT, USA.